Ferretti Yachts have been recognized as the most innovative and luxurious yachts in the world for the last fifty years. 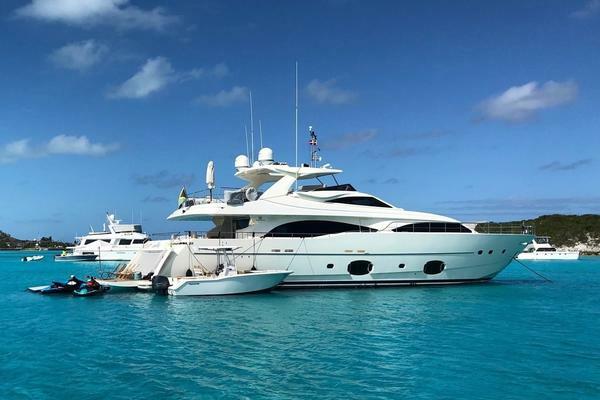 Let the team at United Yacht Sales help guide you to finding the right pre-owned Ferretti Yacht for sale. In just fifty years, Ferretti has not only designed and produced exceptional yachts, but leads in innovations, technology, and business around the world. Ferretti Group’s portfolio includes: Ferretti Yachts, Riva, Pershing, Itama, Mochi Crafts, CRN, and Custom Line. With an international presence in over 80 countries and a dealer network of 60 teams, no matter where you go Ferretti is there for you. In addition to the multiple brands, yachts and network of teams, Ferretti Group has twenty shipyards with six shipyards spread across Italy that extend an average size of 43,000 m² with an average of 16,000 m² of indoor space. The Italian craftsmanship is never lost. The Ferretti brothers turned away from the car industry and began working with boats in 1968. 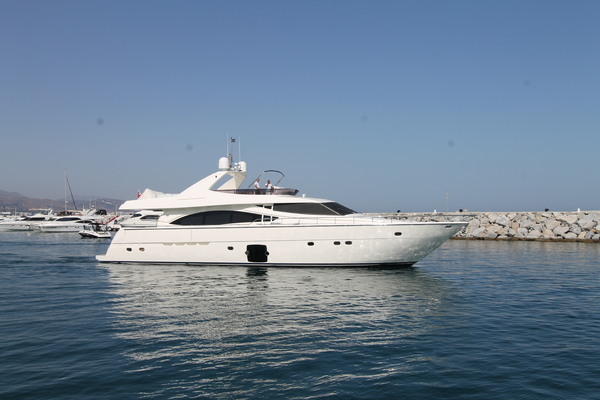 They worked with Chris Craft and began to market themselves as Ferretti Nautica. As time went on, they began to build on their own, which started with a 10-metre wooden motor sailor. By 1982, Ferretti was building open, flybridge, and sport-fish motor yachts. Today, Ferretti’s team of product developers, marketing specialists and engineers work together with famed architects to create practical solutions and modern aesthetics. They ignite the passion of owners and yachting enthusiast by keeping true to their traditional designs but staying ahead of the times. Ferretti’s great success is not only thanks to the innovations, quality and focus on building a masterpiece, but a major factor is its active acquisition strategy. Acquiring some of the top boat brands around the world has helped grow its portfolio and footprint. Keeping each brand true to its original intent, all while increasing the production and the abilities to create a sounder yacht. 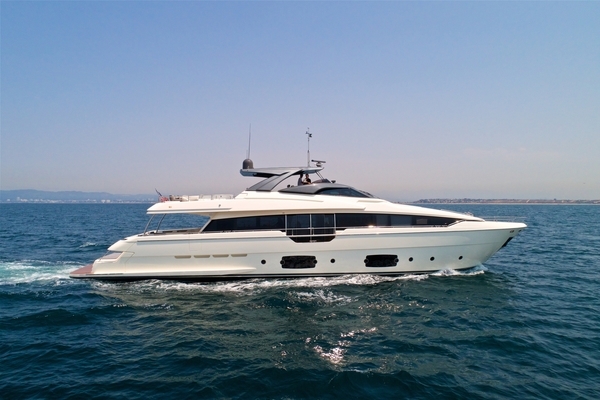 The first brand of the Ferretti Group is the semi-custom Ferretti Yachts. 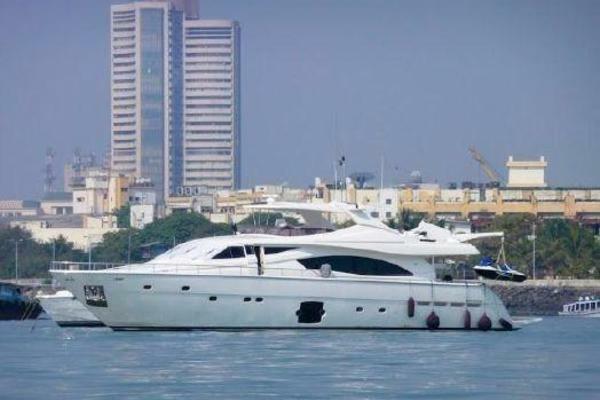 The brand includes a fleet of eight models ranging from 29,20m (96’) to 14,20m (46’), the world leader in this size category of motor yachts. Ferretti Yachts are ocean certified as class A, which guarantees comfort in any sailing condition. Comfort, in terms of Ferretti, means safety. The yachts are fully compliant with the ECC 94/25 Directive. Meaning builds are compliant with EU standards which set out minimum technical, safety and environmental standards for the trades of boats, watercrafts, marine engines and components. Comfort also covers the interior as much as it covers the structure of the yacht. The large windows meet the highest safety standards. The harmony of space and materials guarantee timeless and modern design with functionality. Utilizing every inch of space to create the perfect comfort for the yachting enthusiast. To meet the demand for custom designs, Ferretti designated a new brand named Custom Line in 1996. The line includes both planing and semi-displacement builds ranging from 28m (92’) to 36m (120’) in size. The purpose of the line is to keep current clients loyal to the group by giving them more options in both interior and exterior design, size, and power. In partnership with Studio Zuccon International Project and Francesco Pszkowski Design, each design encompasses the owner’s unique personality, needs and desires. Two years later, Ferretti Group acquired Pershing Yachts. Pershing yachts began in 1985 the same year the first mobile phone was created and the arrival of the internet. The advancement during that time allowed Pershing to create the 45 Pershing that would run like a powerboat but entertained like a motoryacht. Pershing is futuristic style, modern elegance, and speed. The Pershing lineup includes nine models that are constructed at the Mondolfo Factory in Italy. Mondolfo covers 53,000 square meters with modern facilities and includes one of the largest painting booths in Europe. The shipyard keeps in theme with the modern appeal of Pershing. Italy also hosts one of the largest shipyards for Ferretti in Ancona on the Adriatic Sea. Ancona offers early 80,000m² of space to build pleasure crafts up to 90m long. One of the largest shipbuilding operations in Europe. This is home to CRN, as well as the Custom Line and Riva Superyachts Division. CRN, acronym for Costruzioni e Riparazioni Navali, became part of the portfolio in 1999, making it the third addition to the group. CRN was founded in 1963 by entrepreneur Sanzio Nicolini. Nicolini dove straight into upscale luxury yachts made of aluminum and steel. The entrepreneur upheld a standard of quintessential Italian excellence, style, and elegance. Easily recognized by the distinctive bow, which almost stands as a trademark. CRN’s most notable yachts today include M/Y Latona, M/Y J’Ade, M/Y Chopi Chopi, and M/Y Atlante to name a few. In the seventies, Nicolini formed a collaboration with Riva Yachts which yielded eight yachts built by CRN. Riva was then acquired by Vickers, an English Group whose collection included Rolls Royce. By the early 2000s, Riva Boatyard was returned to its true Italian heritage when Ferretti took over. The Riva Yacht is a luxury icon. Famous for the fashionable Florida, whose wooden hull is easily recognized thanks to Brigitte Bardot. Many prominent figures from around the world have owned a Riva. The King Hussein of Jorden owned the Super Aquarama and Elisabeth Taylor and Richard Burton used a Junior as a tender. The brand boasts a very diversified range in size, models, and materials catering to a variety of needs. Always caring for detail and creating long-lasting quality yachts. Its an ever growing and evolving brand that will remain a luxury icon. Ferretti Group’s portfolio is as unique as a fingerprint. Not one brand is like the other. Each with their unique style and pedigree. The only constants are construction, engineering, design, research and passion. Each brand follows a very precise building process crafted by world renowned architects, designers and engineers. Never missing a beat and continuously striving to lead the industry, no matter what the build is. With the Itama and Mochi Craft, Ferretti Group steps out of the box by producing a contemporary, unmistakable open motoryacht and an American Lobster boat fashioned with Italian elegance. The entire Ferretti portfolio does one job perfect and that is creating solutions for the yachting lifestyle, before there are any problems. With United Yacht Sales, all your problems have solutions. We take pride in finding the right Ferretti for you. 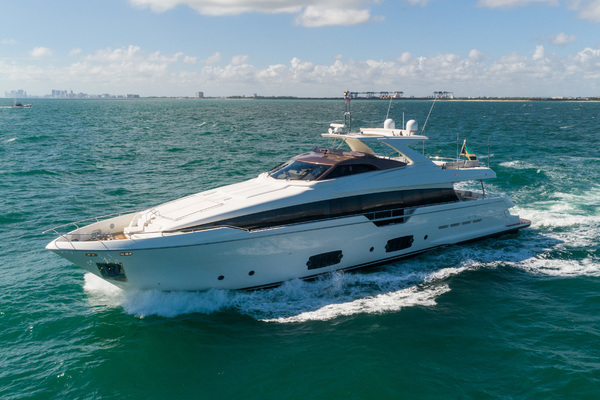 Whether you want a pleasure craft or a modern sport cruiser, UYS has the connections it needs to find you your next Ferretti. With access to a worldwide search platform and a network of global brokers, the possibilities of finding your perfect yacht are endless. 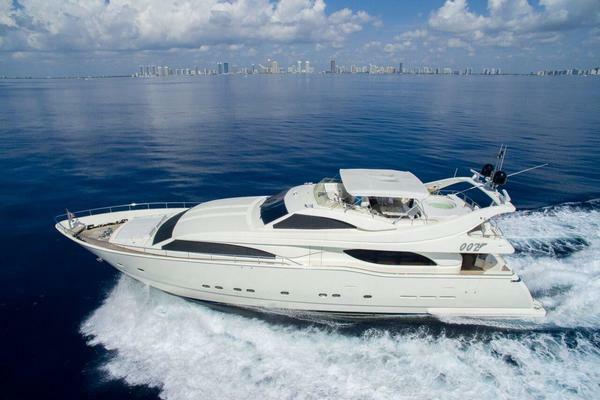 United Yacht Sales provides the utmost attention when listing your Ferretti. Your yacht is a unique story about you and we will ensure that there is no other yacht like it on the market. This is our basis to make your listing stand out from the rest. In addition, our unmatched marketing powers and network of over 145 brokers internationally will help you Ferretti be seen. We will work hard to find the right buyer for you yacht so that you are happy with the sale and ready to move on to your next yachting venture.